Denver Garage 1/4: What a difference! My client prepared for this project by purchasing a ton of specific bins she wanted everything to be stored in. This garage is so much more functional now! Denver Garage 2/4: Working directly with the client, this project took us about 6 hours to complete. Pre-move Declutter 1/2: This client called me to help him declutter as he prepares to list his home to sell. He was a fast decision maker which made this project fly by in record time! This project took about an hour which meant we could focus on other areas of the house for the remainder of his 4 hour session! 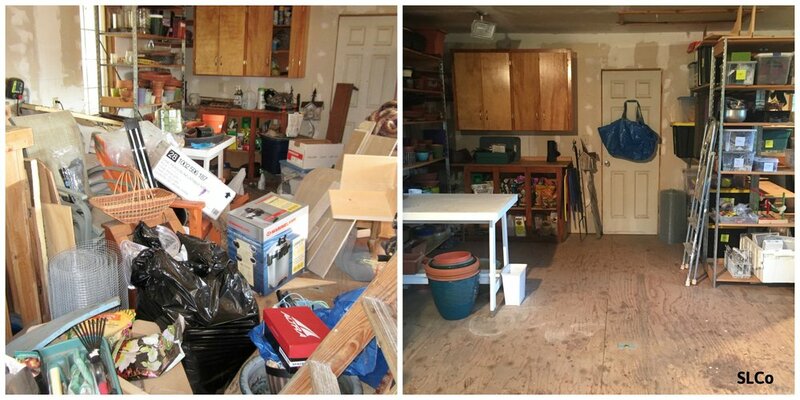 Pre-move Declutter 2/2: While working directly with the client, we decluttered the entire garage in about an hour! Garage Update 1/3: This returning client had his garage updated and called Streamlined Living to put everything away. Garage Update 2/3: I love using wall space for storage! Garage Update 3/3: A new storage locker with room to grow. Garage 1/3: A much more functional garage for this couple! Garage 2/3: Everything has it's place! Garage 3/3: The garage is the main source of storage space for this couple. Hanging the bikes freed up a lot of space. 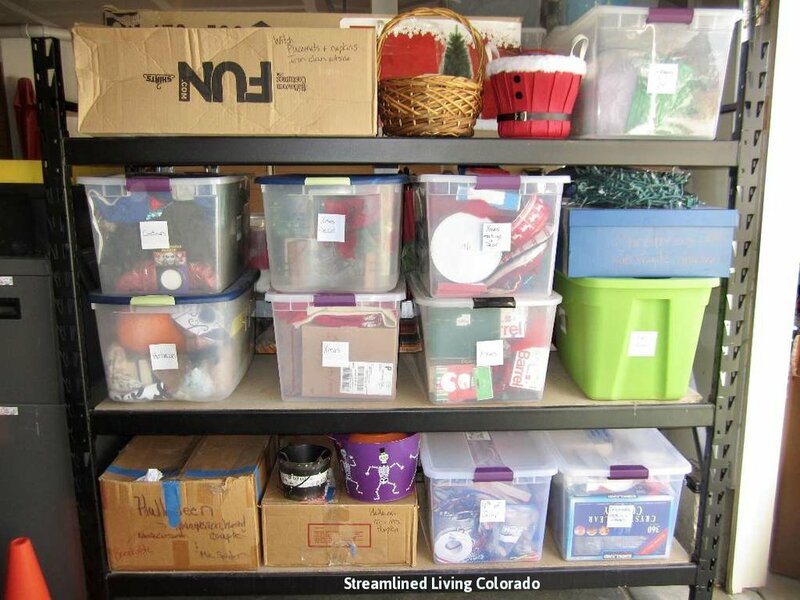 Post Move Garage Organizing 1/2: Decorating for any holiday will now be much easier for the client since all of the decorations are in one area and all of the bins and boxes are clearly labeled! 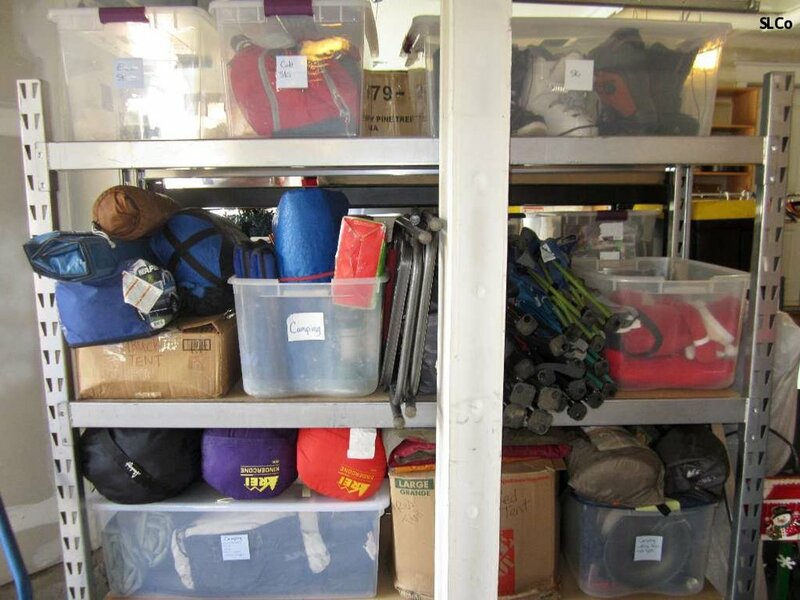 Post Move Garage Organizing 2/2: Preparing for a camping trip will be a cinch with all of the camping gear in one area of the garage! Garage 1/5: A newly streamlined garage! 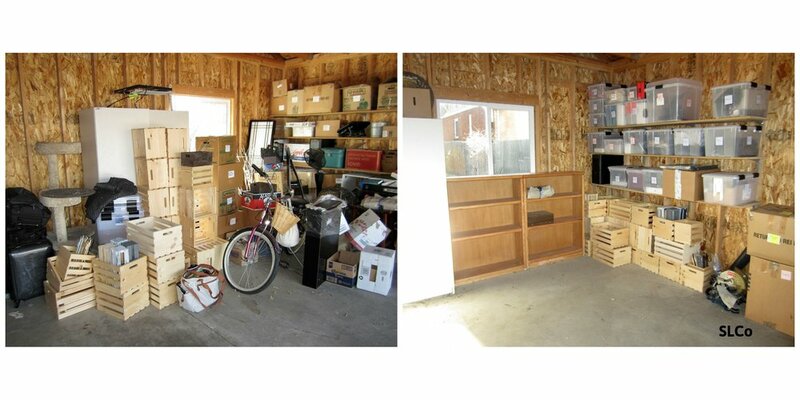 Garage 2/5: This motivated client donated much of their unused items to the Habitat for Humanity ReStore. We also brought in a handyman to install the tracks to hang the bikes. Garage 4/5: Much more functional! Garage 5/5: My client now has the dedicated gardening storage area that he wanted. Arvada Garage 1/3: Now my client knows where to find everything in her garage! 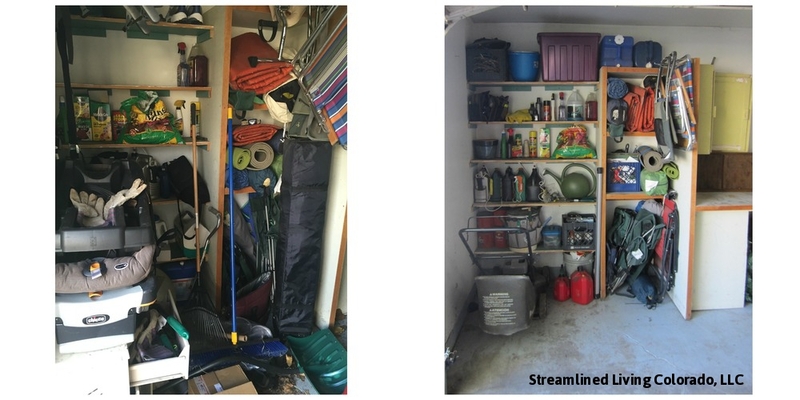 Arvada Garage 2/3: De-cluttered, organized with room to grow! 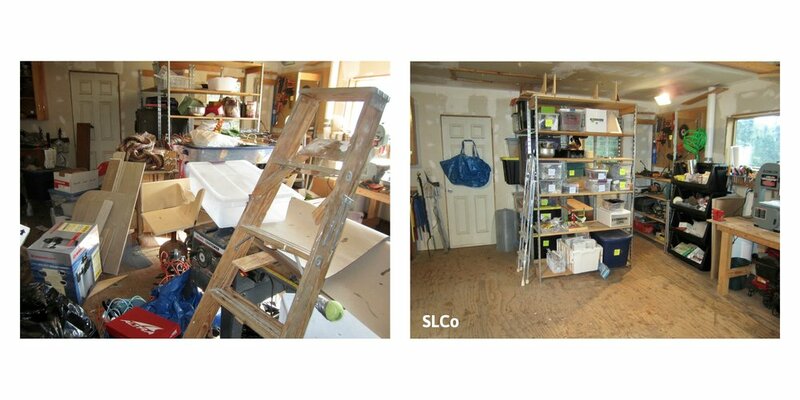 Arvada Garage 3/3: My client's garage went from chaotic to clutter free! My client and I streamlined her entire garage in about 5 hours.